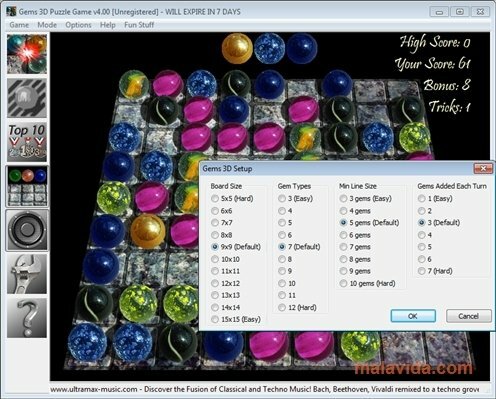 Gems 3D is a game in which you will have to be very organized. It is a board that different gems will fall on to. 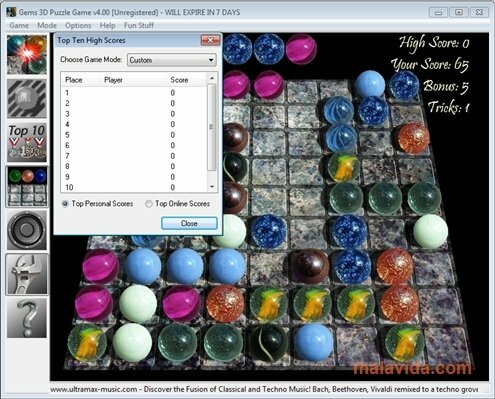 The objective is to match the identical gems to make them disappear. 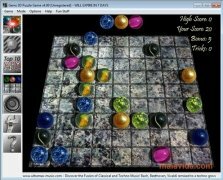 It seems easy, but the difficulty lies in the fact that the gems have to have space to move around the board, because they can't jump over other gems. The game is totally customizable, in such a way that you will have the possibility to adjust the difficulty. You will be able to choose the size of game board grid, and the amount of identical gems that you have to group to make them disappear. When Gems 3D starts you will see the game board with some gems, and in each turn three more will move on to the board. 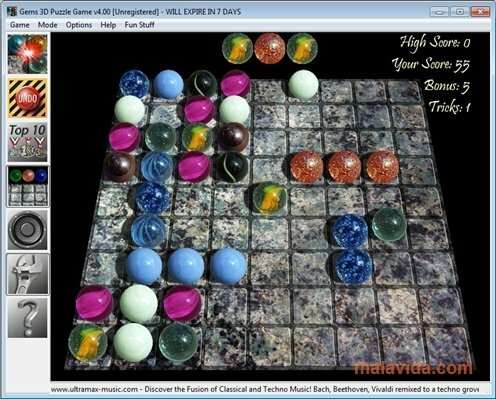 You have to move the marble-like gems to group them. When there are five or more identical gems, they will disappear, and it will carry on being your turn. 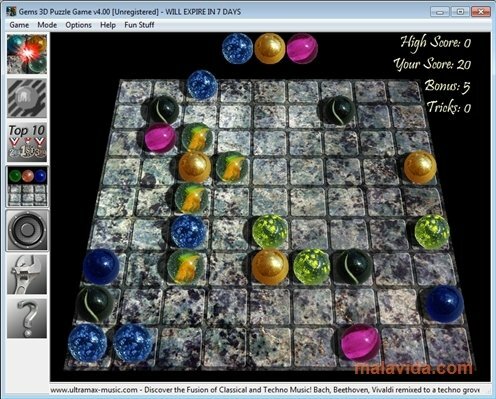 The game ends when there is no free space left on the board. 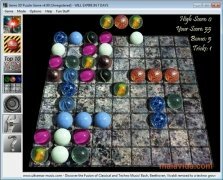 In Gems 3D is very important to organize the gems in the proper order, because they have to move around the board to form groups. These groups can be formed horizontally, vertically or diagonally. Exercise your logic and spatial placement with Gems 3D and clear all the gems off the board. The demo can be played for 7 days and it shows advert windows.